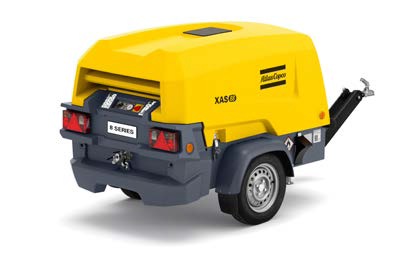 The Atlas Copco XAS 8-series Portable Compressors are designed to provide both durability and reliability. Producing air supply for pneumatic and free air tools, the XAS 8-series are versatile and economic. The tough impact resistant canopy uses HardHat™ technology to provide a reliable service while offering maximum damage and corrosion resistance. 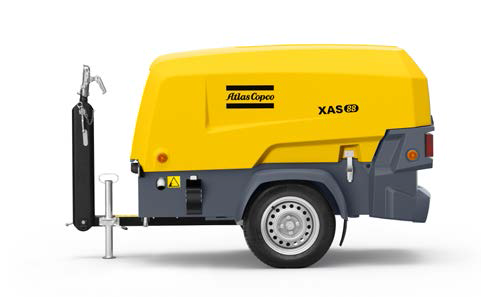 As one of the HardHat™ range, the Atlas Copco 8-series is built around a single axle series 8 oil injected rotary screw compressor module. The unit provides a reliable source of compressed air to drive pneumatic tools such as jackhammers, nut runners, grinders and rammers. 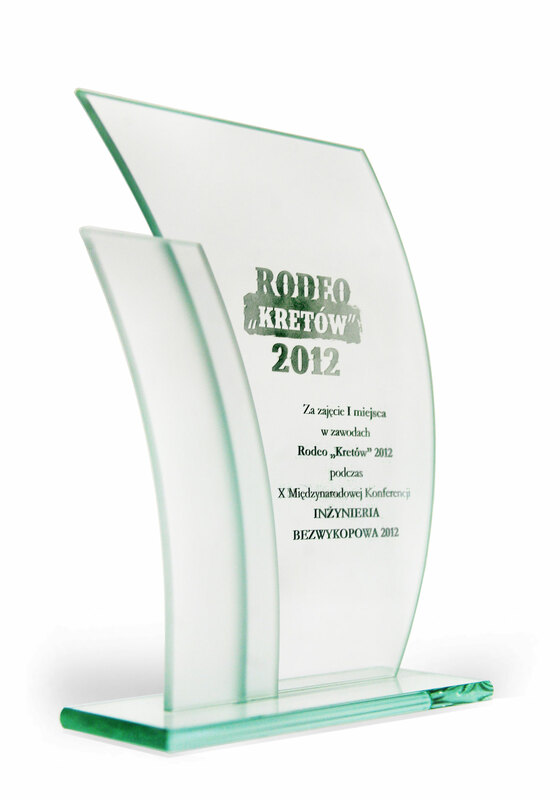 High free air delivery applications such as sandblasting, are also covered. All controls are grouped on a single panel for ease of operation and covered by a durable plastic cover for safety. 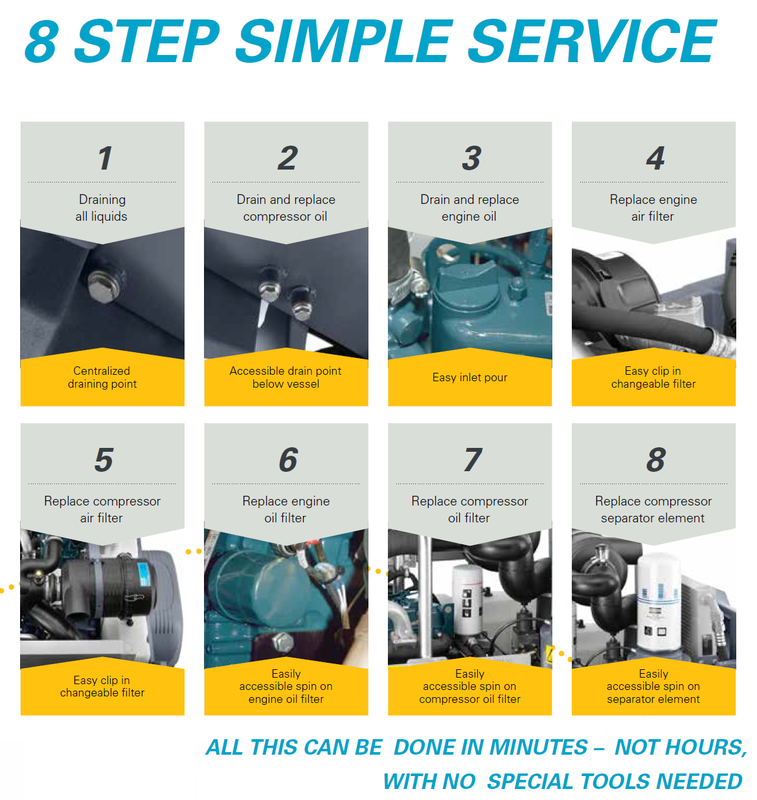 The Atlas Copco 8-series are fitted with a step less, fully automatic regulator. This constantly varies the engine speed according to air demand for reduced power and fuel consumption. This allows the 8-series to run long shifts with no need to refuel. 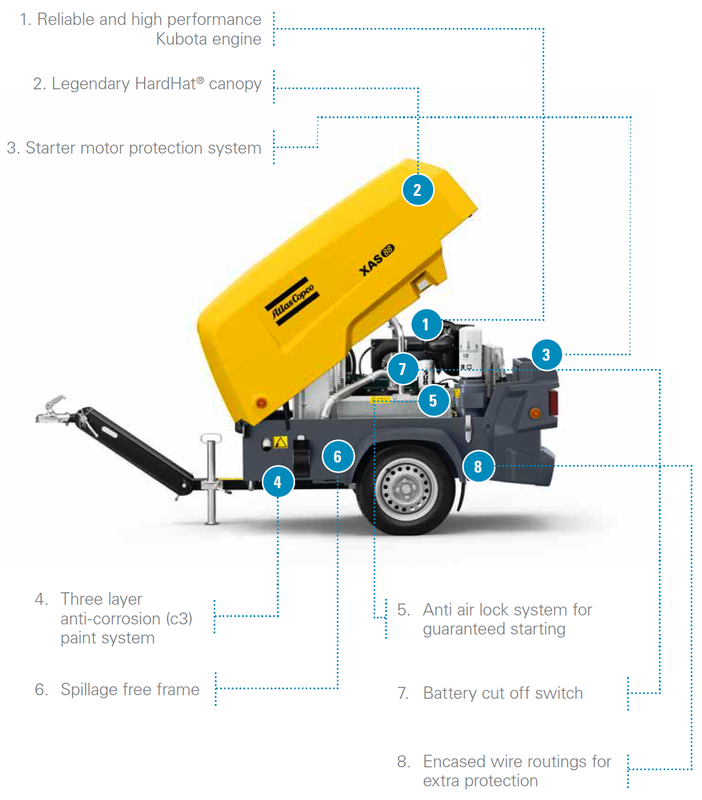 All HardHat compressors meet current European and US legal requirements relating to the working environment and regulations concerning safety, exhaust emissions and noise.